Globally engaged. Critically acclaimed. Biblically based. For over 60 years, Jerusalem University College has offered graduate and undergraduate study programs that engage the biblical text, explore its multi-faceted context, and maximize the rich educational resources of Jerusalem. JUC grounds its mission in the broad evangelical traditions that focus on the centrality of Jesus Christ and the authority of scripture. This backdrop of faith within the context of Jerusalem creates a rich and unique opportunity to educate our students through living learning experiences. Learn more about the mission of JUC below. Our founding president, Dr. G. Douglas Young, envisioned a graduate-level educational experience in which students would study the Bible in the land of the Bible among the people of the Bible. Over the years we have added the M.A. degree, an undergraduate semester abroad program, and a variety of intensive, short-term programs. 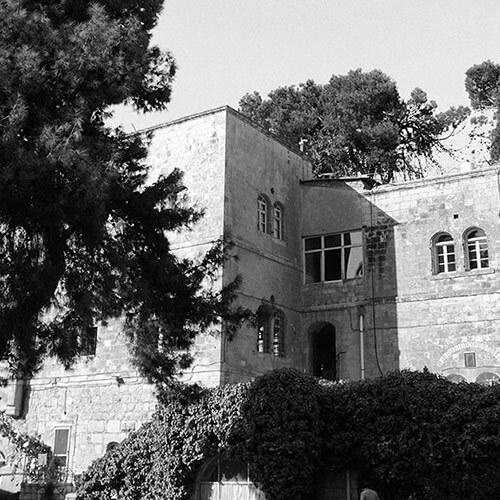 The buildings and grounds of Jerusalem University College are located in the former Bishop Gobat School property on the southwestern corner of Mount Zion, a short walk from the Old City of Jerusalem. Not only is our campus within close proximity to the rich academic and cultural resources of Jerusalem, it itself is an archaeological and historic site. Our campus provides a secure, full-service environment for our students. The faculty of JUC are all accomplished scholars within their fields. Each brings a specific area of expertise to our curriculum. Together, they provide an in-depth, integrated, and hands-on approach to learning. JUC's position as the leading evangelical school in Jerusalem is strengthened by its affiliations and accreditations which supports our mission and goals. Representing a number of professions and bringing to the table a rich mosaic of backgrounds and competencies, the Jerusalem University College President and Board of Directors provide the leadership necessary to ensure oversight of the school. Several of the members of the board are alumni of JUC or its associated schools.